Every year, Las Vegas turns into a mecca for innovation. The Consumer Electronics Show (CES) is the world’s gathering place for all those who thrive on the business of consumer technologies. Tech companies from around the world gather to show off the latest tech that is poised to completely change our lives – from self-driving cars to Artificial Intelligence (AI), smart robots to smart cities. This year, focused ultrasound took center stage. But to be honest, what was a medical technology doing at a consumer show? 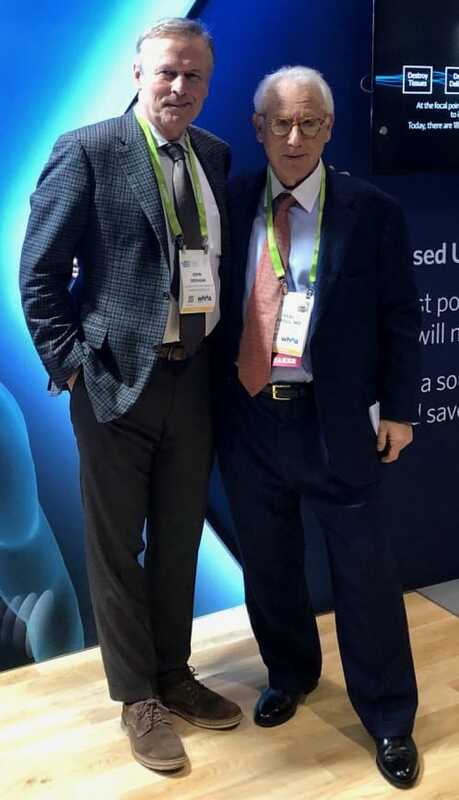 Dr. Neal Kassell is the founder and chairman of the Focused Ultrasound Foundation (FUSF) and former Co-Chair of Neurosurgery at the University of Virginia. We recently sat down with him to find out about the FUSF and what they were doing at CES. Continuing, he explained how the technology fit into the show landscape. “We were somewhat concerned about going into CES, because focused ultrasound is definitely not consumer electronics. The response from show attendees, the organizers and the media was nothing short of astonishing. People are eager for more information about this groundbreaking technology. John Grisham came along to support our cause. Not only is he a noted author, but he’s also a Foundation board member and a passionate supporter of focused ultrasound. Click here for more information about the Focused Ultrasound Foundation at CES.